Earlier this year RuneScape – Jagex’s flagship MMO – opened the doors to the first half of the largest city in the game, Prifddinas. Today sees the living metropolis finally maturing and unveiling its full expanse. 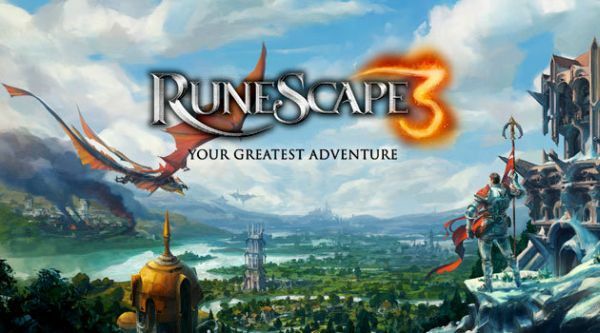 Through RuneScape’s Player Power initiative, the Lost City of the Elves expansion has been developed in collaboration with the RuneScape community. Together they have shaped and directed this sprawling city from the inception of the accompanying quest to the living capital that stands today. Prifddinas first opened its doors in September and has seen the high level community flock to make the city their home. With a population surpassing exclusive havens such as the Cayman Islands and Monaco, Prifddinas has become the home to the RuneScape elite who have draped the city with over 650 thousand flags in celebration of their maxed skills. Designed for and by the high level community, the wealth of content now available includes the addition of four new clans who join those which were unveiled in September. Clan Ithell allows players to unlock the ancient art of crystal singing in which songs enable the crafting of crystal tools – with special skilling effects – consumable teleport items, and attuned crystal weapons. If you feel in need of something more physical, head around the corner to Clan Hefin where you can find a new agility course to test out your prowess and unlock new emotes and cosmetic outfits. Intrepid adventurers can discover new dungeons at Clan Meilyr offering a range of skilling locations, monsters to fight and rewards to discover. Next comes Clan Amlodd which has a new summoning familiar for players to create, which grants a number of upgrades to the divination skill. The clan also has new rewards for the popular pastime – impling catching. Finally, the Voice of Seren, the living heart of the city, is now fully active, giving two clan houses boosted training opportunities. However it’s up to players to work out which two houses are blessed in this way at any given time. The Lost City of the Elves is the epic conclusion of a quest chain that players first learned about 10 years ago. The sprawling crystal terraces are waiting for you to explore now at www.RuneScape.com.